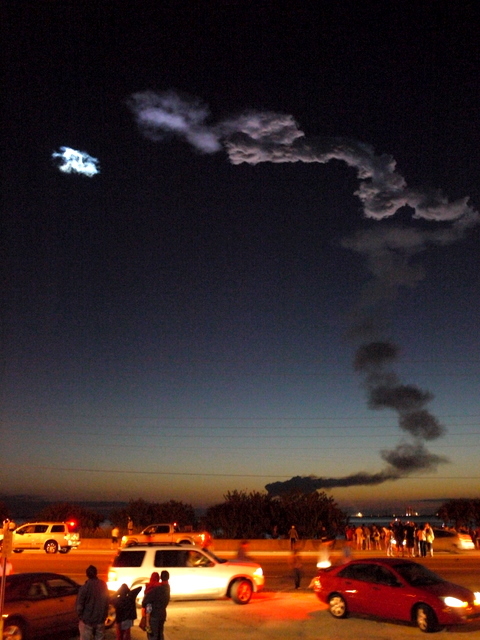 I was very fortunate to see the launch of the space shuttle in Florida this week. More of that at the end, but you might wonder why this belongs in a climate change blog? Whilst flicking through the NASA web-site to find details of the launch and the best viewing locations, I came across two items which have an important link. The first is that NASA is planning a mission in October to measure aerosols in the Earth’s atmosphere and solar irradiance. The mission is called Glory and it aims to establish a more accurate picture of the Earth’s energy balance, thereby improving upon the knowledge of the various forcing influencing that balance. The overall balance is critical as it will determine the extent of warming of the planet. We already know that the Earth is out of balance by some 2 watts/m2 as a result of the additional CO2 in the atmosphere, but we don’t fully understand the extent to which this might be countered or enhanced by other forcings, particularly aerosols. The CO2 forcing alone is enough to change ice extent over the coming decades and centuries to the extent that sea level will become a big problem – this is one of the main points in James Hansen’s latest book, Storms of My Grandchildren. The continued measurement of the total solar irradiance to determine the Sun’s direct and indirect effect on Earth’s climate. Aerosol Polarimetry Sensor (APS) which will provide the retrieval of aerosol particle microphysical properties by inverting multiangle and multispectral radiance and polarization measurements. Total Solar Irradiance (TIM) which will measure the absorption and reflection of this radiation by the Earth’s atmosphere, and determine the global average temperature of the Earth. Cloud Camera data which will provide cross track coverage over a finite swath of aerosol load and fine mode fraction over the open ocean. 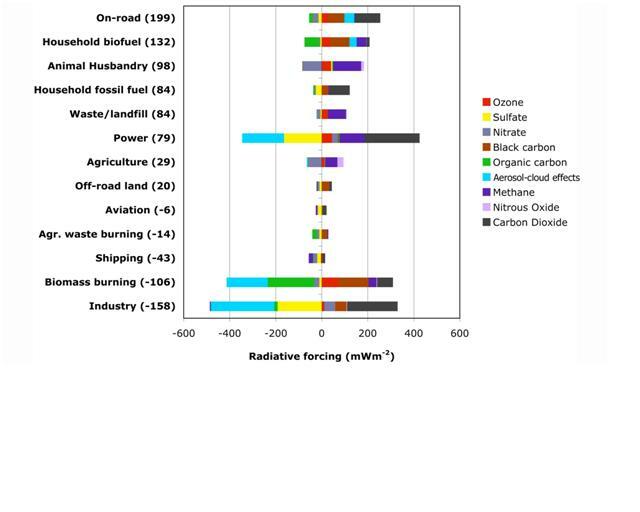 A related study by NASA is available on the same website (http://www.nasa.gov/topics/earth/features/road-transportation.html) found that the transportation sector is the largest contributor to overall warming, not because it is the highest CO2 emitter, but because of the combination of emissions from the sector. Unlike the industrial sector it emits very little in the way of sulphates which act as coolants, thereby partly offsetting the warming of the CO2 emissions. 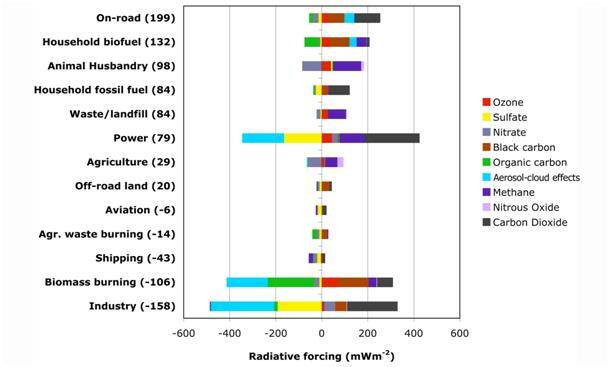 Rather, the sector primarily emits CO2, black carbon and ozone, all of which contribute to warming. As for the space shuttle – seeing that was both good luck and good timing – more the former than the latter. The fact that our family vacation happened to coincide with one of the last ever launches was a coincidence, but the trek to see it was not easy. We started out at 4am in the morning with a planned one hour dash across central Florida to get there in good time for the 6:21 am launch. Traffic was heavy, but we hadn’t counted on the huge queues at the endless toll booths (most drivers were visitors so didn’t have the electronic pass). This consumed most of our available time, so we ended up entering Titusville with 15 minutes to spare. We then managed to get lost when the rental sat-nav decided we were in fact in a swamp (we weren’t) but somehow managed, with five minutes to spare, to appear at the shore on Highway 1 opposite the launch facility and had a splendid view of the event. A minute later we were reminded of the power of this vessel as the sound arrived.